Maybe you’re one of those lucky few who have kept their New Year’s resolution and continued to exercise. Or maybe, you’re looking for a better quality of running shoes. We’re here to help you pick out the right kind of shoes for your feet. We all have those pairs of shoes that we wear to do everything: going to the movie, work, eating at a restaurant, and jumping in the mud. Unfortunately, we’re so use to wearing them that we even use them to exercise. You may think these shoes are perfectly fine for taking a light jog around the track or neighborhood, at least until you try it. All it takes is one painful experience running; before you realize you need to spend a little extra cash on a pair of running shoes that may not leave your closet. Just wearing a shoe around the store might feel comfortable, but when you take them out and start using them, you’ll more likely get a different reaction. Having a good pair of shoes that fit to your feet are beneficial in preventing shin splints, blisters, and other discomforts. 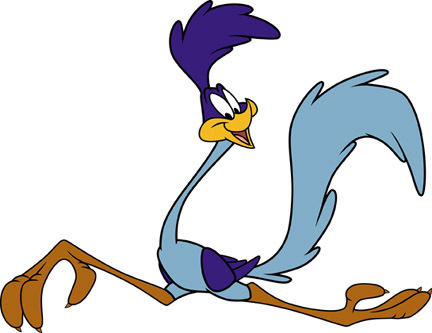 Are you a Road Runner or Trail Runner? Before you pick out the exact shoe that is the right fit, you’ll need to decide what kind of running do you want to do? There are certain shoes which better match your running style. If you’re planning on running on pavement and asphalt, then road running shoes are a better match. However, if you like to run off the beaten path, then a trail shoe is a better fit for your needs. Road running shoes are designed for flat surfaces and the occasional run through nature trails and wood-chipped paths. They are light and flexible. They are also meant to cushion and support feet during long repetitive strides on hard, flat surfaces. The trail running shoe is an enhanced version of the running shoe, made specifically for off-road routes. They are enhanced with aggressive outsoles for solid traction and strengthened to offer stability, support, and underfoot protection. 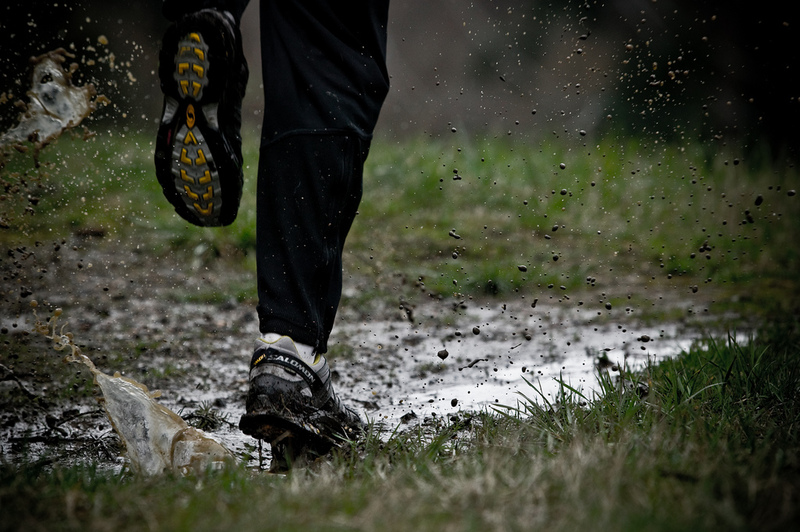 If you encounter a lot of rocks, roots, muds, or other obstacles during your run, then choose trail shoes. So you know where you want to run; now you want to know how to get the right shoes. First, you need to know a little about your own feet. 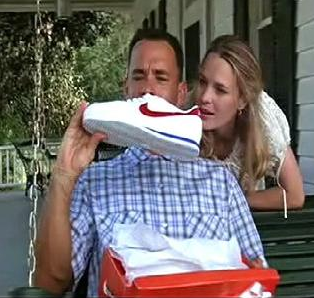 You probably know your shoe size, but if you are unsure, it’s best to have them measured at a shoes store. In fact, measure both feet in case one is larger than the other. Our goal is comfort after all, so getting the right size for each foot is important. The device they use to measure your foot is called a Brannock device. It measures the length, width, and toe to ball of foot. The arch of your foot is basically the middle of your foot between your heel and your toes. The simplest way to find the arch of your foot is by a water test. Next time you are in the shower, pool, or tub, take a look at the footprint you make on the floor. The shape of your footprint will tell you what kind of arch you have. The arch of your foot affects the way your foot moves as you run. Your foot shape is closely related to its movement as you walk or run. Understanding how your feet hit the ground will prevent injuries and help find the right shoe which stabilizes you correctly. Typically, your foot hit the ground with the heel first. It rolls slightly inward and the arch flattens to support your foot. As you exit the stride, your foot rolls slightly to the outside and stiffens to create a springboard which propels you forward. As a runner, you may experience slight variations of this stride. Pronation is the foot’s natural roll following when the heel hits the ground. Neutral pronation helps absorb the impact, which relieves pressure on the knees and joints. Many runners have natural pronation. Overpronation is when you put more weight on the outside of your feet. This is a common risk for most runners and could lead to knee and joint problems. Overpronators need stability and motion control shoes. Supination (under-pronation) is the opposite of overpronation. It’s when the runner put more weight in the inside of their feet. Although few runners supinate, those that do will need shoes with cushioning and flexibility. So how do you know which one you have? Ask a podiatrist or physical therapist. Either one could tell you. An easier and cheaper way is to just check your closet. Find a pair of shoes and look at the bottom. Check where your shoes have worn out and that will tell you. If you have neutral or natural pronation, then wear will be near the ball of your feet and a little on your heel. If you have overpronation, wear will be on the inside edge of your shoes. Supination will have wear on the outer edge of your shoes. Cushioning shoes provide better shock absorption and a little medial (arch side) support. They’re best for runners who are mild pronators or supinators. Cushioning shoes are also good for neutral runners during off-pavement runs. Stability shoes help reduce basic pronation. They’re good for neutral runners or those who have mild to moderate overpronation. They often include a “post” in the midsole. Due to their extra support features, nearly all trail-running shoes fall into this category. Motion control shoes offer features such as stiffer heels to counter overpronation. They’re best for runners who exhibit moderate to severe overpronation. Barefoot/Minimalist shoes are supposed to be more in tune with your natural way of running. You may have heard or Vibram shoes. They basically look like gloves for your feet. They are designed to fit the contour and shape of your foot more naturally. A lot of people love them, but try them to make sure they are the right fit for you. Runner’s World Magazine – Useful tips,tools, and training exercises for beginner runners to professionals. Posted on February 28, 2012, in How to, Men's Apparel, Outdoors, Running and Fitness, Shoes and tagged Athletic shoe, buy running shoes, how to, jogging, running, running shoes, Shoe, Shoe size, Supination, Trail running, vibram. Bookmark the permalink. 3 Comments. Use it pointed toward the conclusion for the finger. The shine, fire and brilliance of a diamond depend on the cut regarding the rock.